In recent months, various rumours have circulated regarding Lil Wayne's seizures, which some sources claimed could have been sparked by codeine use. 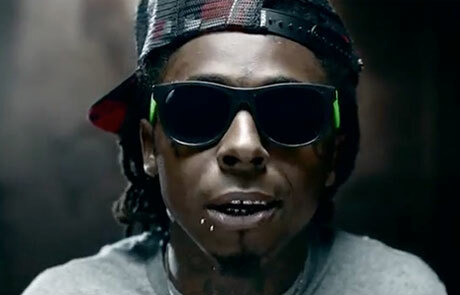 Now, Weezy has now opened up about the real cause of his seizures: he has epilepsy. In an interview with Burbank, CA's Power 106 radio station [via Rap-Up], he said, "The bad news is I'm an epileptic. I'm prone to seizures. This isn't my first, second, third, fourth, fifth, sixth, seventh seizure. I've had a bunch of seizures, ya'll just never hear about them. But this time it got real bad 'cause I had three of them in a row and on the third one, my heart rate went down to like 30 percent. Basically, I could've died, so that is why it was so serious." The incident he's referring to happened two ago ago, when the rapper suffered a seizure and wound up in a Los Angeles ICU. He said his seizures are caused by stress and overwork, and added that they don't always require a hospital visit, since the people around him are apparently experienced at dealing with them. Regarding his latest health scare, he explained, "The third one was so bad and I live in the hills in L.A. So the reason why it was bad was that I live all the way at the top, so you know how hard it is getting down those hills. That was what was so scary about it." Reports about Wayne's seizures began to circulate last year, and his management initially said that he was suffering from dehydration and a migraine. His album I Am Not a Human Being II came out earlier this week (March 26).